The extraordinary feeling of living in Venice is concentrated in the district of Cannaregio, on the quiet streets of one of the areas with the most authentic ambiance in the city, where most Venetians congregate today. This is where you find Cà Fontanea. A few steps from the train station and Piazzale Roma, the Cà Fontanea Guesthouse is the ideal place for those who wish to stay in the true Venice, near the Chiesa di San Giobbe and the stops of direct public transportation routes to Rialto, San Marco and the Casino. When entering the heart of Cannaregio, do not forget to visit the Jewish Ghetto and its synagogues - present in Venice since the far-away 14th Century – and the suggestive Chiesa della Madonna dell’Orto, which, together with the Church of Mercy (Misericordia), is located in one of the most seductive corners in Venice. The beaches of the Venetian Lido (Shore). Enjoying an appetitive in Rialto. Correr Museum and Palazzo Grassi. 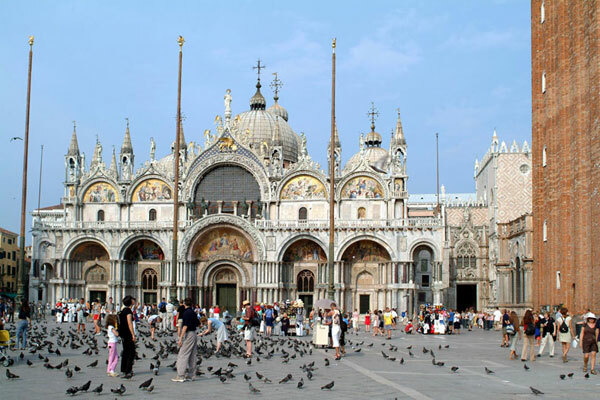 San Marco, with a splendid basilica and its impressive bell tower, is Venice's living room; the Palazzo Ducale and the old cafes in the arcades under the Procuratie, spell fascination in a breathtaking place. Rialto and its sophisticated bridge offer a space for the renowned market that continues in the Mercerie between the most diverse shops and refined boutiques: a paradise for whatever you want in shopping. 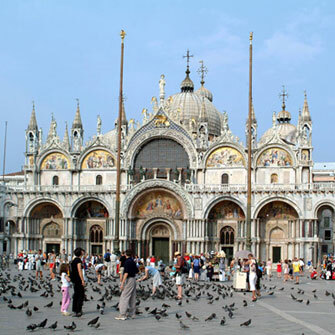 From the historical center you walk the Strada Nova, finding on your right the Canal Grande, the most important waterway in the city, hidden from renowned palaces such as the magnificent Cà d’Oro and the Palazzo Vendramin, where the casino is located. When you reach the automobile terminal of Piazzale Roma, leave the card in one of the parking lots and take the line 42 steamer and get off at the Crea stop; as soon as you leave the pier turn right, then walk along the canal to the restaurant ‘Ai Canottieri’; after a few meters the street of Beccarie appears on the left, take it and after 10 meters exit on a small square, the 'campiello delle Beccarie', here you will find a fountain and our yellow home. You can also take steamer line 52, get off at the Tre Archi stop, turn right , cross the Ponte Tre Archi and turn right; then follow the indications above. If you left your car in the parking of the Island of Tronchetto, take steamer line 82, get off at the Piazzale Roma stop and follow the indications above. After arriving at the Santa Lucia train station, take steamer line 42 or 52 straight to Piazzale Roma, get off at the stop and follow the instructions in the section ‘By car’. *If your luggage is not too heavy, you can get to Cà Fontanea with a splendid 15-minute walk. Leave the station, turn left, make your way on the Lista di Spagna: after 5 minutes you will arrive at Ponte delle Guglie. Turn left immediately after the bridge, walk along the canal and get to the restaurant ‘Ai Canottieri’; follow the indications in section ‘By car’. The Marco Polo Airport is 15 km. away. To get to Cà Fontanea, take the ATVO bus for the Venice Air Terminal or ACTV bus line 5 directly to Piazzale Roma and then follow the indications under section ‘By car’; or, take the Alilaguna BLUE line shuttle directly to ‘Fondamenta Nuove” (in service from 8:55 a.m. to 5:55 p.m.), get off and take steamer line 41 or 51 to the Crea (or Tre Archi) stop, and continue as per section ‘By car’. In addition, Alilaguna has the ARANCIO line (leaving every hour from 9:55 a.m. to 4:55 p.m.) that goes directly to the Ponte delle Guglie; from it you can reach the nearby restaurant “Ai Canottieri”, and then follow the indications in section ‘By car’ to quickly get to Cà Fontanea. Finally, from the Marco Polo Airport you can either take a water taxi or a street cab to go to Piazzale Roma. If you arrive at the Treviso Airport, get to Piazzale Roma via the ATVO shuttle (duration: 50 minutes).